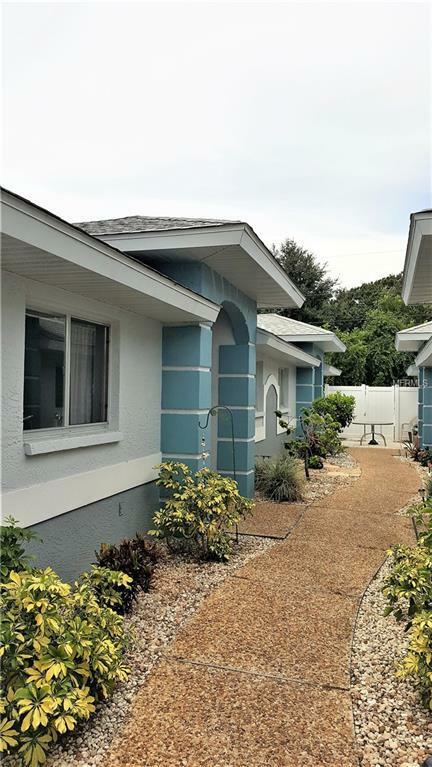 START YOUR RETIREMENT HERE in this 2BD/2BA/1CG Villa in Gulfwind Villas! As you enter, you'll notice all the natural light that streams through the numerous windows, skylights & sliding glass doors to Lanai. The cathedral ceiling & plank tiled flooring add volume & style to this spacious villa. 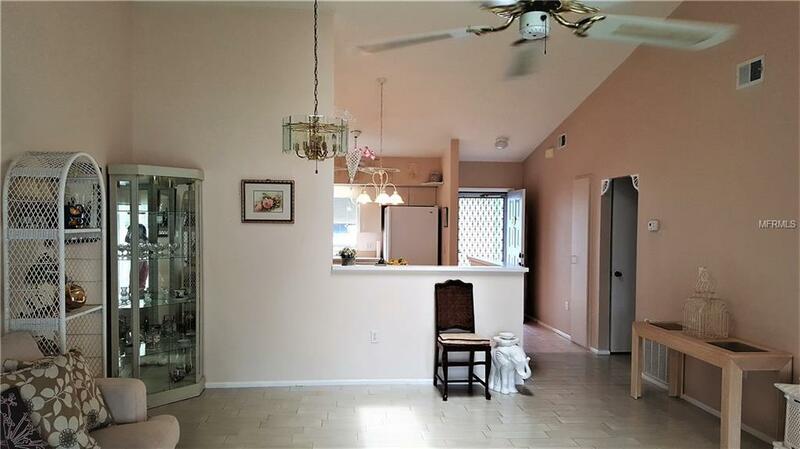 Eat in Kitchen has a ceiling fan, lots of cabinetry/countertop area & laundry closet. Appliances include: GE Spectra smooth top stove (2yr old), GE dishwasher, Amana refrigerator w/freezer on bottom & Hotpoint microwave. 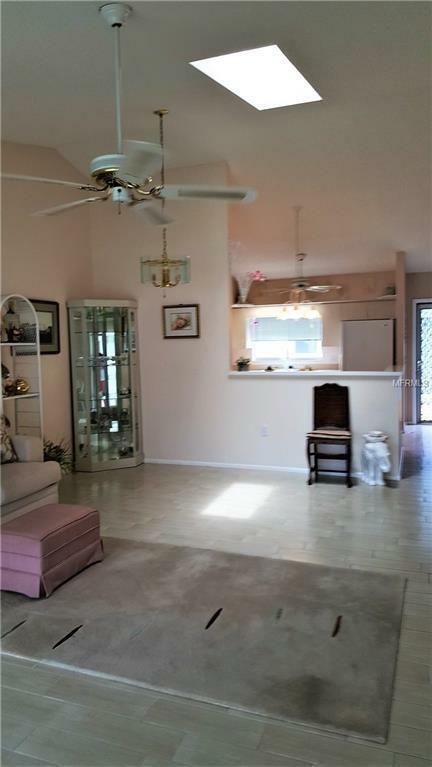 Master bedroom has ceiling fan & large walk in closet. 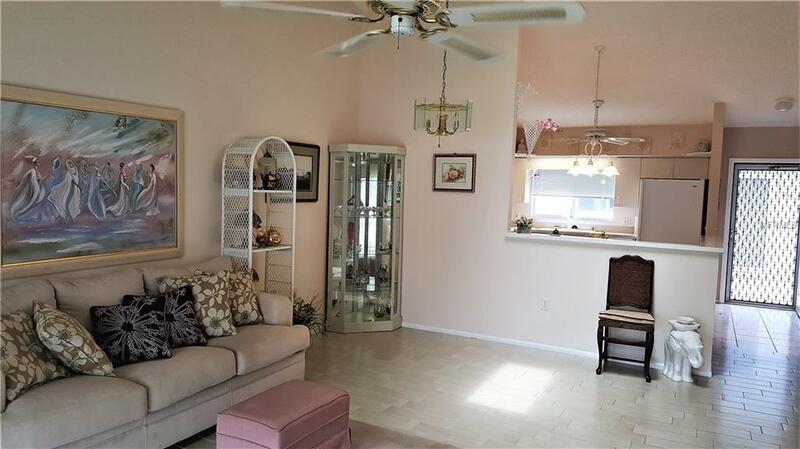 Master bath has step in shower, tiled flooring, ceiling fan, vanity w/cultured marble countertop, updated mirror & light fixture, newer toilet & direct access to garage. Guest bedroom has ceiling fan and wall closet. Guest bath has vanity w/cultured marble countertop, tiled flooring & combination tub/shower. Enjoy breakfast on the vinyl enclosed Lanai with stamped concrete floor and closet for storage or catch up on your reading on the patio. Other updates include recently painted interior, A/C replaced 2014 & water heater replaced 2010. Attached one car garage w/automatic garage door opener. There are plenty of things to do everyday, such as meet friends down at the Community Pool or area beaches, grab lunch or dinner at the many local restaurants or spend the day fishing! Community Boat Dockage available with a wait list. Live the life you have always dreamed of here at Gulfwind Villas. Don't miss the opportunity of a life time. Additional Lease Restrictions No More Than 3% Of Total Condos Can Be Leased On An Annual Basis. Sub Leasing is Not Allowed. All Rules & Regs Apply To Tenants As Well As Owners. Pet Restrictions Must Be Leashed Supervised Outside Of The Unit And Not A Nuisance. Pets Must Be Picked Up After. Tenants May Not Have Pets.